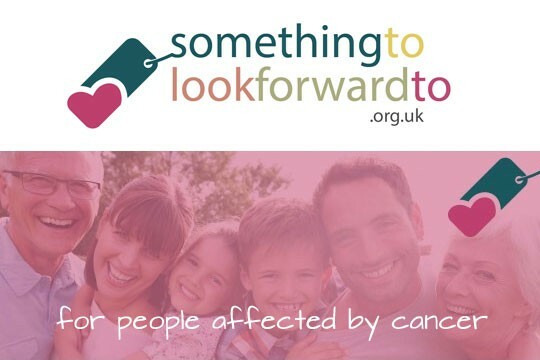 The purpose of 'Something To Look Forward To' is to provide a comprehensive website where people affected by cancer and their families can access a variety of free offers donated by companies. These could include such things as restaurant meals; hotel stays; theatre tickets; beauty/spa treatments; tickets for sports events; tickets for theme parks….the list is endless. Cancer has a way of reaching out and touching just about everyone; some harder than others. Most people today appear to have either suffered themselves or have friends or relatives that have been affected by this disease. 'Something To Look Forward To' is a form of social action; we are all in this together and we can all help each other even if in a small way. The charity will benefit cancer patients and their carers' and/or families as a result of loss of income for this group. Having cancer can be expensive and is a costly illness. It can take a toll on health, emotions, time, relationships and finances.Cancer patients can bear unnecessary costs due to their illness at a time when they can least afford the worry. Would give 4 people affected by cancer 'Something To Look Forward To'. Would give 20 people affected by cancer 'Something To Look Forward To'. Would give 45 people affected by cancer 'Something To Look Forward To'.